Being able to live and work in Greenbrier County –so rich in everything that it has to offer is something that we are very grateful for. However, often times we get so busy and caught up in the day to day adventures in real estate, we might begin to take for granted the greatness that surrounds us. It’s great to stumble upon articles such as this from “Army Girl” we wanted to share her adventures through our town and hope that you will find interest in all that Lewisburg, and surrounding area has to offer. You can find the link to her blog at the end of this page along with UPCOMING AREA EVENTS! If you’ve never been to Lewisburg, WV or never heard of it, you’re missing out. This tremendous small town has a plethora of fantastic dining experiences, culture, adventure, relaxation, and fabulous antique shops. It really does have it all! 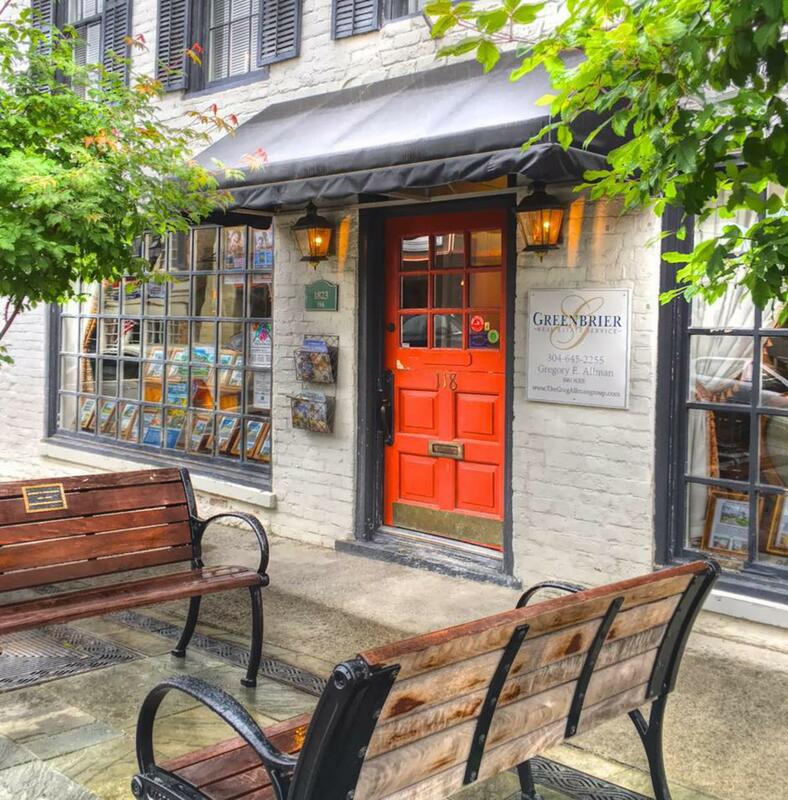 Lewisburg is near the historical and beautiful Greenbrier Resort, located in the lovely town, White Sulphur Springs. Lewisburg is a home away from home for me, and I visit it multiple times throughout the year, so I’ve discovered what amazing things this town has to offer. FOOD: Believe it or not, but this town is loaded with amazing local and unique food finds! The French Goat. This is my go-to dinner spot in Lewisburg. Everything is delicious, and the menu is always changing. The food is spectacular and rivals any major city’s restaurant. Their wine list is solid. They have lovely special events and menus, and this place is always busy, so ensure you book a reservation through their website. This is the spot for a special dinner. If you ask any local for their dinner recommendation, they will certainly respond with the French Goat, and with enthusiasm. Stardust Cafe. You might think that this will just be some cute cafe, but it’s beyond that. The food is legit and locally sourced. It’s delicious, relaxed, but always refined. Want an easy dinner that is still top-notch? Eat here. 3. Thunderbird Tacos. I love this spot. I try to always fit in a taco stop AND homemade margarita here every time I’m passing through. It’s such a cool vibe. Colors and decor are hip, and locals love this place. Everyone is so chill that works here. Did I mention they make homemade margaritas? 4. The Wild Bean. This is my go-to coffee shop and a great place to sit in the coffee-house and chill. It’s always bustling, and they have a great vegan menu. 5. The Livery Tavern. Up the eastern end of Washington Street, this lovely restaurant is a relaxed spot for a great dinner. 6. General Lewis Inn. I really enjoy driving up to this spot for dinner or Sunday brunch. It’s authentic, rustic, and delicious. Cocktails are solid and the food menu doesn’t disappoint. 7. Hill and Holler Pizza This spot is located inside a beautiful, old log home, so the charm is through the roof before you enter the restaurant. If you are in the mood for some delicious pizza, stop here and enjoy a nice casual night. 8. Taste of Heaven Bakery. Grab a loaf of their sourdough bread. It is indeed a taste of heaven. You can’t go wrong with anything here. 9. Jim’s Drive-In. This is such a cool, must-try experience. It’s an old-school drive-in, where they come to your car for your order and food. If you’re in town during a pretty day, it’s a must try! SHOPPING – Just walk up and down Washington Street, and you’ll find some great finds, but here are some of my faves that are on the main drag and beyond. Wolfcreek Gallery. This is my favorite store on the main street. It’s primarily women’s clothes, but they have other neat finds like jewelry, candles, home nick knacks, etc. It’s trendy meets hippy-dippy, and it’s lovely in every way. A must stop if you’re in the mood to find a cute bag or top. 2. Harmony Ridge Gallery. This is my favorite craft stop. It’s funky, hip, random, unique. It’s the only place where you can sit at one of the coolest wine bars and have a glass, purchase beautiful soaps, and buy a metal art frog all in one swoop. Even if I don’t buy anything, I always stop by to see what their latest additions are. It’s full of artists and crafters, and it highlights local artists. Don’t miss it. 3. Patina. You can buy the latest Yeti mug or find a vintage bag or jewelry. It’s primarily an antique shop, but there is a little something for everyone in this place. 4. Robert’s Antique and Wine Shop. You can buy antique furniture AND wine in the same spot. Enough said. 5. Tattered and Worn Antiques. This is my fave antique stop in the area. The surprisingly large store has all individual vendors, and their goods vary and are always changing. You can go full-blown Joanna Gaines in here. I always ask myself, would Joanna like this? She would most definitely say yes to this spot! The Greenbrier Resort. I LOVE THIS PLACE. I could make an entire blog post just on the Greenbrier. It is perfection. It’s grand, beautiful, historical, and an absolute must stop while in the area. Regardless if you are staying here or not (although I highly recommend you do for at least a night), make sure to include this place in your itinerary while visiting the area. The restaurants are indulgent (along with the entire hotel). My two favorites are Prime 44 West, an incredible steakhouse ode to Jerry West, and the traditional and fancy Main Dining Room. You can’t go wrong with either spot. Ensure you go shopping through all the stores on both levels. I always find a little something. If you buy some cute dress or outfit, usually the seamstress can alter your dress for free. Ensure you come to the main lobby for high tea at 4:15pm. You don’t have to be a guest to enjoy some light snacks, iced tea, and maybe even a lovely waltz. I recommend going to the lobby lounge. The cocktails are spot on. Sit and just enjoy the sites. It’s like you’ve been warped back into an era of total sophistication. There are dress codes, so make sure to check them for each restaurant and location, depending on the time of day too. GOLF. I mean, if you like to Golf, you must do it here. The Old White course is the renowned course, and the course played at the Greenbrier Classic, now called a Military Tribute, a PGA Tournament. That’s also worth coming to watch. Bunker tour. If you haven’t heard about the bunker, then you’re in for a treat. You can tour the bunker that was a secret location for Congress. That’s just plain cool. I mentioned the golf tournament, but they also have the Texans Football Training Camp you can come and watch in August and Tennis tournaments at their lovely tennis facility. This year, they featured Serena and Venus Williams. Ensure you walk around the grounds. I suggest you do some research before coming here so that you can make the most of your visit to America’s Resort. Check out the lovely church and view the gorgeous stained glass windows. Bottom line – this place is old school glitz and glam. If you stay here, you can enjoy the casino, which is classy and fun. It’s a modern Monte Carlo Casino, and I know, I’ve been there. There are some high rollers in here, but don’t be taken aback, because people are so friendly, and they have $10 minimums. I really can’t say enough about this spot. It has everything and more – spa, bowling alley, wine tastings, tours, carriage rides, fly fishing… the list goes on. JUST MAKE THIS A MUST STOP! 2. The Salt Cave and Spa – This is one of my favorite spa experiences. If you book a massage, for instance, you get the salt cave hydrotherapy experience included. You can buy this by itself, but might as well get an amazing deep tissue massage. This place is sooo unique and kind of in the middle of nowhere, which is why it’s so important to know about it. Start off in the salt cave. You lounge in a chair and are inside a cave that is filled with Himalayan salt (walls, floors, etc.). It’s relaxing, and this definitely helps you get your meditation in for the day. A MUST DO EXPERIENCE. 3. Smooth Ambler Distillery. This place is a hidden gem. You can visit and go on a tour, or just go and try some of their great whiskeys in the tasting room. Make sure to try a chocolate bourbon ball! 4. Greenbrier Valley Brewery. Right across the street from the Smooth Ambler is the Greenbrier Valley Brewery. A newer addition in the area, it’s a relaxed spot to grab a locally brewed beer. 5. White Water Rafting at New River/Gauley River. It’s a bit over an hour and a half drive, but you can experience some of the best rafting in the U.S. and world. Check out some of the outfitters and reserve a spot. This is an experience you won’t forget! 6. Tamarack – Spend a lovely afternoon in a craftsman mecca. About an hour drive down I-64, visit Tamarack where local artisans display their beautiful creations. The Greenbrier chefs are featured here, so the food is pretty tasty too! 7. Greenbrier River Trail. Every time I visit, I ensure I make my way down to the river trail to go on a run, walk, or float down the river. Rent a bike and bike for miles and miles. It’s beautiful, serene, and good for the soul!! 8. Lost World Caverns. Right in Lewisburg. A great and fun experience to see some beautiful rock formations 120 feet below the Earth’s surface. Simply breathtaking. Finally, Lewisburg also has a Carnegie Hall. Only 1 of 4 in the United States, it offers cultural and arts performances. So, have I convinced you yet to visit? She definitely explored some of our finest and most treasured places here in Greenbrier County! Thank you Army Girl for sharing your adventure!